Microsoft's Infinity Room about big data: A 360-degree interactive version. An immersive visualization of big data. Photo from the Infinity Room. 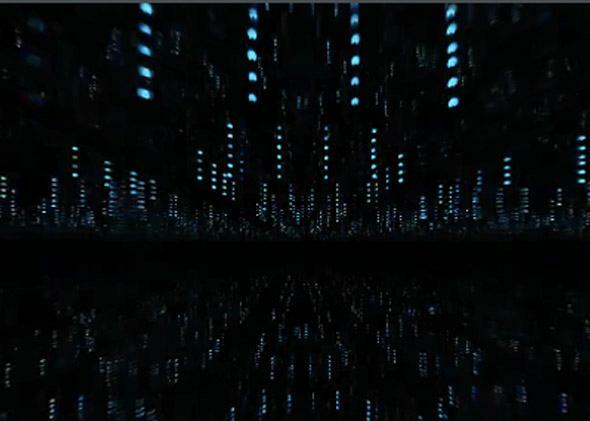 As part of Microsoft’s 2014 SQL Server launch party last month in San Francisco, the company built a mirrored “infinity room” that attempted to visualize the vast scale of big data and immerse people in its enormity. The room used mirrors, pixel spheres, and a huge amount of LED lighting to create the appearance of an infinite chasm. As visitors moved through the space, narration and animations explained how big data can reveal the significance of seemingly minor elements, like the quarter’s relationship to U.S. economics. The one problem with the Infinity room was that it was only open for a limited time and only in San Francisco. But now Microsoft has released an immersive 360-degree view of it. And when you make it full screen, it’s pretty awesome. Big data can seem like a meaningless phrase that companies trot out to make their products and initiatives sound futuristic, but the Infinity Room actually has some success at conveying what the idea is really about.